These drawstring linen laundry bags are a traditional solution for dry, soiled, linen collection. 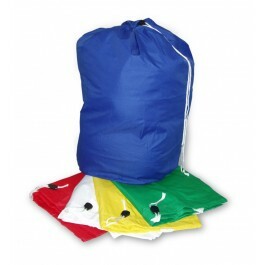 The bags are designed to fit a whole range of soiled linen laundry carts or can be used as stand alone sacks. The sacks come complete with a toggle and drawstring to allow soiled linens to be sealed within the body of the sack. Allows linen and laundry to be easily seperated upon collection, helping prevent cross contamination. Size - 70 x 101cm.